Just when you thought lure fishing couldn't get any better, or exciting, Rapala has raised the bar again with a new range of deadly lures for 2018. Included in this new range are the Rapala Super Shadow Rap, Rapala X-Rap Peto Hybrid Lure, and the Rapala X-Rap Scoop. Each lure has its own characteristic shape and colour, and offer an exciting new range of response triggering actions in the water. 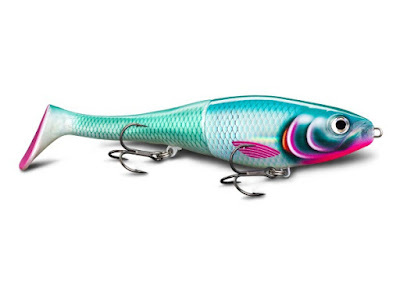 The Rapala Super Shadow Rap is a super nice jerk bait that also works as a crankbait. It is a very versatile lure that can be fished many different ways and can create a variety of different actions. Its unique shape and movement trigger an aggressive response in the fish, and its high profile gives the impression of a bigger lure but it feels like a smaller lure. This makes it fun to fish with. The ideal depth to fish the Super Shadow Rap is around 2-4 meters. 3 turns of the reel handle and then a long pause works extremely well, however, it can be equally deadly using crank, jerks, twitches, and pauses. Or, use a combination of these movements to create an even more tantalising action in the water. The Super Shadow Rap evolved from the original Shadow Rap and dances like an easy meal. You can twitch it gently for on-the-spot action or rip it hard through the water into the mouth of a big fish. It is an irresistible lure that predators can't ignore. It kicks hard to the side, then slowly fades away into the depths like a dying fish, yet its tall body mimics the silhouette of a bigger bait fish. The Rapala X-Rap Scoop Hard Body Spoon Lure is a versatile, hard plastic spoon bait that is easy to fish and can give you a longer cast. It also features two treble hooks which give it a great hook up rate. The X-Rap Scoop works really well as a searching bait and perfect for competition lure angling. An effective technique for fishing the X-Rap Scoop is to give it two quick cranks then let it rest. As you pause, the lure falls through the water with a unique falling leaf action, which is irresistible to predators. A longer pause also lets the lure drop a bit deeper. You can fish multiple depths depending on how long you let it drop before you retrieve. Similar to the hard-bodied X-Rap, the X-Rap Scoop has a very enticing action which glides as it descends. Its unusual shape also gives it a wide kicking action at a slow to medium pace, and with a couple of twitches, it can be sent darting from side to side. Overall it is a deadly lure which will definitely appeal to your target species. It has a realistic design combined with a flashy chrome finish that a fish's senses can't resist. 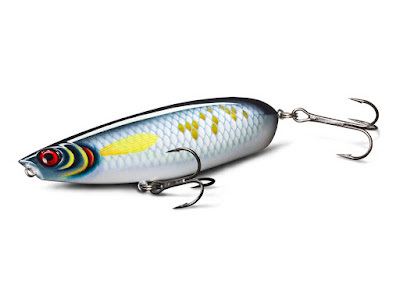 Rapala X-Rap Peto Hybrid Lure The Rapala X-Rap Peto is a very cool lure which is especially effective during the cold winter months. It lets you fish in very slow, shallow waters and has a nice wobbling action and a kicking paddle tail. It is a very versatile lure and maintains a nice steady rhythm in the water. It is a hybrid bait because the soft tail can be changed very easily. The X-Rap Peto features a stainless plate system with 6 points of attachment which holds the tail securely in place. The tail is very easy to slide on then you simply re-attach your treble hook. The Peto also comes with a spare tail - just in case! 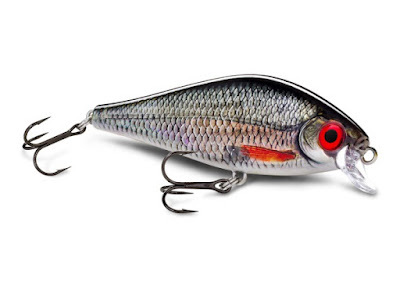 The X-Rap Peto is also known as the "Finnish Beast" at Rapala and has a slow sink rate and perfectly horizontal fall. The tail kicks in a wide action on a steady retrieve, or, using subtle jerk and pause will have the lure fishing into the depths. Overall the X-Rap Peto is a very versatile lure. It's cleverly designed and will certainly trigger an aggressive response due to its steady rhythm in the water. In warmer temperatures, you can even rip it through the water for a reaction bite. 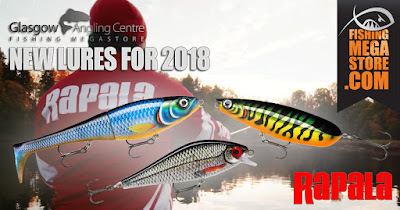 So if you are looking present something different to your target species, the new range from Rapala will certainly fit the bill. Fish are going to find these new lures irresistible and you will certainly have a fight on your hands. And of course, you can visit us in store or online at fishingmegastore to find out more.